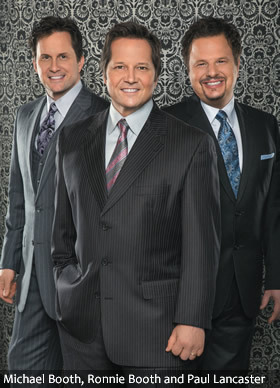 Fans who follow the harmonious trifecta know that at the beginning of 2015, Paul Lancaster joined lead singer Ronnie Booth and tenor Michael Booth to become the group’s third voice after Jim Brady left to launch the Jim Brady Trio along with his wife Melissa and Tim Parton. 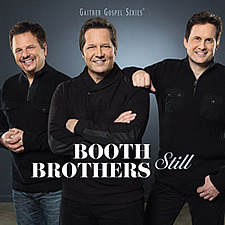 The shift has gone smoothly, in large part because Lancaster is no stranger to Southern Gospel or to the Booth Brothers themselves. 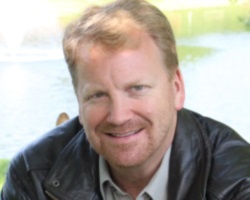 Over the years the versatile vocalist has performed with the Booths, the Nelons, Karen Peck & New River and many others — and has quickly become an integral member of his new group, Michael Booth says. The new album is somewhat “schizophrenic,” Michael notes, mixing tinges of country, traditional gospel, country and even jazz — a reflection of the diverse offerings the group includes in its concerts. As for the tunes Michael counts among his favorites, one is Mosie Lister’s 1953 classic “Happy Rhythm,” which, while typically sung as a quartet piece, shines here as a “Mills Brothers/Manhattan Transfer/ swing-jazz trio,” says Michael, thanks to producer Jason Webb’s jazz acumen. 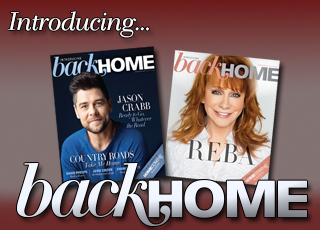 Award-winning songwriter Rebecca J. Peck wrote “Wildflower” after meeting with Vicki and Michael at a Cracker Barrel one day and listening as Vicki unfolded her life experiences — leading to the crafting of a touching ode to God’s fatherly affection and the hope of healing through His love. While the album’s contents might reflect multiple styles and influences, there is one broad, overarching message, Michael says. It boils down to receiving the grace necessary to come home from wherever we might have wandered—not just tiptoeing in with our heads hung in shame, but celebrating the extravagance with which our Heavenly Father welcomes us home. If that sounds a bit like the parable of the prodigal son and the forgiving father (Luke 15:11-32), that’s exactly what the Booth Brothers had in mind. As the group mulled over which song to make the title track, they chose “Still” simply because “we really love that song,” Michael says.